Oil on canvas, a scene near Alton, Hampshire. I was visiting the area and we saw this scene not far from his home. 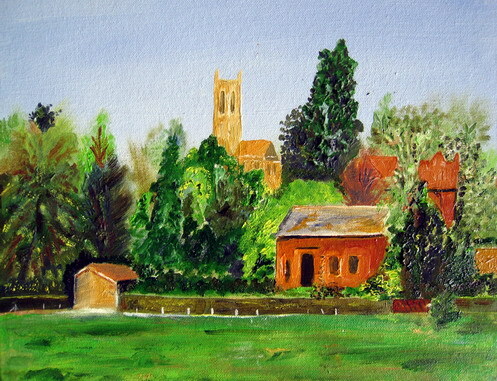 I loved the quiet rural scene, so typically English.